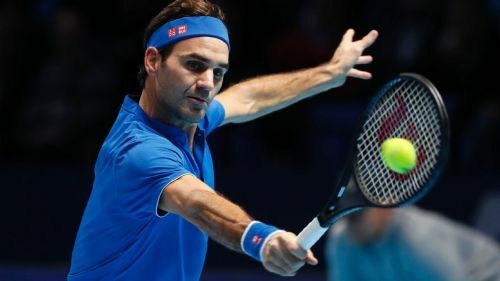 Despite Roger Federer having had such an illustrious career, he has occasionally faced some lopsided defeats where he's had no answer to the opponent's power or skill. However, what stings even more is a loss where he had a chance to wrap things up, but let his opponent get back into the match and eventually win it. In recent times, there have been quite a few matches where Federer won the first set but couldn't finish the job, ultimately going on to lose in three sets. Here is a list of those matches. After a successful Dubai campaign, Federer looked confident right from the start of the tournament and didn't lose a set till the final. Rafael Nadal pulled out from the semis and most people thought that was the cue that Federer would win the tournament. The feeling was accentuated when the Swiss won the first set against Dominic Thiem in comfortable fashion, by the margin of 6-3. But Thiem showed grit and some powerful ground-strokes in the second set, winning it 6-3. The third set was tighter but Federer's ill-timed drop shots meant he lost the 11th game on his serve and eventually the match 3-6, 6-3, 7-5. One of the most entertaining matches of the year so far, this encounter witnessed Federer being beaten by a game style similar to his but with a little more power and accuracy. Federer used all his experience to win the first set in a tie-breaker. But that didn't deter Tsitsipas from winning the next three sets as he defeated Federer 6-7, 7-6, 7-5, 7-6. They say that numbers lie, but the scores here reveal the closeness of this particular contest.